Hanley Ramirez has gone from a man lost in left field to a pleasant surprise at first base with the Red Sox. 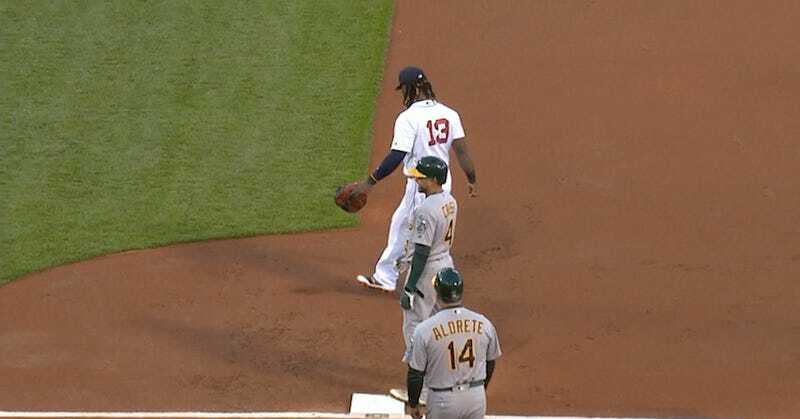 He cares deeply about the area he covers, as evidenced in Monday’s game when Athletics outfielder Coco Crisp tried to alter the infield dirt. Crisp had a laugh, but future baserunners are on notice: If you kick the infield dirt one way, Hanley Ramirez will kick it right back.